Great visions need a strong foundation. That is why well-known companies support the Elbphilharmonie and make its wide-ranging concert and music education programme a reality for current and future generations. Corporate sponsors of the Elbphilharmonie invest in one of the world’s most important cultural projects, which embodies prestige and reputation as much as ambition and innovation. Each sponsorship is tailored to meet individual interests and ranges from project-specific support to a long-term partnership. BMW has been supporting cultural life in Germany for almost half a century. 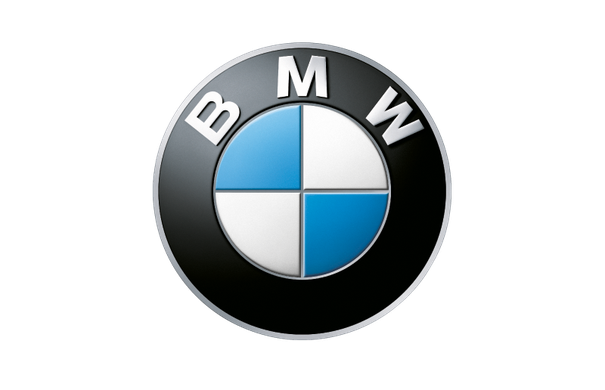 In addition to architecture, design, modern and contemporary art, and jazz, the BMW Group is also very active in the field of classical music. In all the cultural projects the BMW Group funds, unrestricted creative freedom is of utmost importance – this is as crucial for ground-breaking works in the field of art as it is for key innovations in a successful business enterprise. Montblanc has its roots in writing culture and therefore feels a responsibility as a company to support cultural life. Through its partnership with the Elbphilharmonie, Montblanc underscores its long-term cultural sponsorship and supports a new landmark in Hamburg that attracts an international audience and the best musicians of our age. Not only are Montblanc and the Elbphilharmonie based in Hamburg, both also play an important role in the city’s cultural scene. SAP is a proud partner of the Elbphilharmonie, which inspires its worldwide visitors as an outstanding cultural institution and a unique piece of architecture. In addition to various engagements in sports, SAP has always focused on the encouragement of music and entertainment. Innovation is a principle that SAP and the Elbphilharmonie share. Besides world-class arts, the visitors will also experience one of the most technologically-advanced and innovative concert halls in Europe. What can we do for your tomorrow today? Invest in the only thing that will never be replaceable: the human touch. Bank Julius Baer supports cultural institutions and projects through its foundation, art collection and sponsorships since 1965 – the year in which the Julius Baer Foundation was established. Our commitment, however, reaches far into the future as we believe in the strong bonds that the Elbphilharmonie will create between its audiences – both in Hamburg as well as on an international scale. Music is communication. And communication is one of the driving forces of our culture. By communicating with others, we evolve – and develop new ideas. The Elbphilharmonie is a place that shows how communication can lead to new, better and greater things: an innovative place where music and communication create closeness. A place where orchestras and soloists share what is important to them. As the Elbphilharmonie's partner for digitalisation, Telekom helps people share these experiences with one another, so that they can experience the uniting power of music everywhere. Music is like metal: immortal and essential for everyone. Aurubis is proud to support the Elbphilharmonie’s Publikumsorchester / Audience Orchestra and the Hamburg’s dedicated non-professional musicians. Their music will be an inspiration to us. Berenberg has called the Alster lake and the Elbe river its home for over four centuries; the »Elphi« as recently as 2017. It is impossible to imagine Hamburg without either of them. 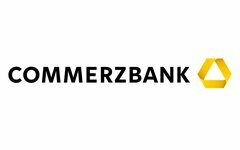 Since the Commerzbank was founded in Hamburg in 1870, community involvement has been part of its corporate culture. The bank is proud to be a close partner of the Elbphilharmonie. DZ HYP is one of the leading banks in Germany specialising in property and is proud to accompany the Elbphilharmonie in becoming a globally recognised concert hall. Music as balm for the soul can have healing powers just like medicine. It’s a stroke of fate that the owner of a pharmaceutical company is a music lover, and therefore avidly supports both branches. 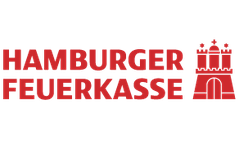 The Hamburger Feuerkasse has given its support to the people of Hamburg for centuries, and continues to show its solidarity with the city and its population through the promotion of high-quality culture. Since 1827, Hamburg citizens have closely associated the Haspa bank with the region. The Haspa Music Foundation sponsors the Elbphilharmonie’s school concerts and makes an active contribution to cultural diversity in the city as its long-time partner. Many years before its official opening, the Elbphilharmonie has determined the rhythm of Hamburg as a city of music – now it sets the benchmark internationally. 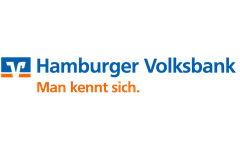 The Hamburger Volksbank commits itself to supporting children and adolescents in Hamburg with the holiday workshop »Kreativ BeatObsession«. For over 140 years, community has been at the epicentre of HanseMerkur Versicherungsgruppe’s vision. That’s why the HanseMerkur supports the Elbphilharmonie hand in hand with other sponsors, and is delighted that this world-ranking concert hall is open to all citizens. HSH Nordbank’s social commitment includes culture. The bank supports Ensemble Resonanz, ensemble in residence, in bringing classical music alive in the Elbphilharmonie. Culture is considered one of the most important pillars of our society. As a Danish company, we are delighted to support one of the world's most distinguished concert halls as a partner. With the motto »We Give Children Our Hand«, KRAVAG-Versicherungen actively campaigns for children and staunchly supports the Elbphilharmonie’s »Funkelkonzerte« (Twinkle Concerts). Seit 1982 sind wir Partner der Freien und Hansestadt Hamburg. Im Rahmen unseres nun über 30 Jahre andauernden gesellschaftlichen Engagements in der Stadt stand dabei auch stets die Kulturförderung im Mittelpunkt. Keine Frage, dass wir daher als Partner auch die Elbphilharmonie als neues Wahrzeichen Hamburgs und Konzerthaus von Weltrang begleiten. As an independent private bank based in Hamburg, M.M.Warburg & CO has the city’s future at heart. It therefore supports the »Rising Stars« festival, which sets the stage for up-and-coming musicians. 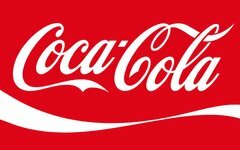 Treats for your ears, eyes and palate: Coca-Cola wishes all visitors to the Elbphilharmonie refreshing and special experiences. Taste the feeling! For the oldest champagne house in the world, founded in 1729, a partnership with the Elbphilharmonie is a privilege and a further commitment to the fine arts of the world. A perfect espresso is the best complement to an outstanding music programme. Lavazza’s passion for Italian coffee and culture still runs deep after more than 120 years. A love for culture and special moments of enjoyment connects Meßmer to the Elbphilharmonie, as does our neighborhood: the Meßmer Momentum, Am Kaiserkai 10. Ricola has supported exciting concert halls worldwide for many years now. Thanks to its beneficial properties for throat and voice, Ricola’s herbal candy is a trusted companion in front of, on and behind the stage at concerts, theatre and opera performances. Ricola candies are available to concertgoers free of charge at the Elbphilharmonie. The Elbphilharmonie begins its new season – and finds the perfect product partner in Störtebeker Brewing Specialities. Discover the traditional art of brewing afresh. As trader of one of the world’s oldest cultural assets, Hawesko is proud to support Hamburg’s newest location for culture. Hawesko is Germany’s leading tenderer of fine wines – also for concert intervals!